Although criminal convictions can be devastating in their own right, life after a felony conviction presents its own unique set of challenges. In particular, it can be difficult to find employment as a citizen with a felony conviction, especially when employers ask for information on a candidate's criminal history before reviewing their qualifications and experience. In order to combat some of the difficulties associated with gaining employment after a felony conviction, certain civil rights groups and political movements have been working on an initiative in the past couple of years called “ban the box.” Passed in 27 states in the US, this legislative movement prohibits local and state government agencies from asking questions about criminal convictions on initial employment applications. In addition, nine states have passed laws which prevent private employers from asking about criminal history. It is important to note that the “ban the box” initiative does not prevent employers from running criminal background checks on potential employees at a later point in the hiring process. Rather, in most forms of the state legislation, government and state employers must wait until the final interview or job offer to review criminal records and then decide whether or not to rescind the offer based on the frequency and severity of the candidate's crime and age at which the crime was committed. The “ban the box” law is designed to give candidates with felony convictions the opportunity to present their qualifications, experience, and skills without being pre judged or summarily discarded for their criminal record. Candidates would also be more likely to receive job interviews if they are not seen as convicts and passed over for others who might not have comparable skills but have no criminal history. Early this June, Nevada Governor Brian Sandoval signed Assembly Bill 384, a version of “ban the box” legislation. Some lawmakers and organizations in Arizona have been working to pass criminal justice reform bills in our state which include prohibiting employers from asking job candidates about their criminal background on initial applications. 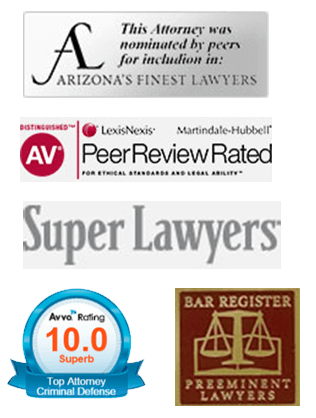 Mr. Bleier devotes 100% of his practice to criminal defense. He defends clients in state and federal court at both the misdemeanor and felony level. He also takes on appeals and post-conviction cases.